A little off topic, I thought I would share with our followers a little project I worked on this Spring that many of you will be able to appreciate. I have been researching my own family history for more than 20 years, starting by listening and recording family stories. Like many other family historians, one of my favorite activities is to tromp through the cemeteries of my ancestors and get photos of family graves. 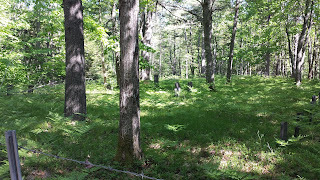 Sites like www.findagrave.com and www.billiongraves.com are great resources if you can't get to an ancestor's final resting place, but nothing beats a trip to the cemetery. In the town that where I live, we have dozens of small family cemeteries, some of which are well cared for, and some... not so much. Some are well known, and some have been forgotten or lost over time. 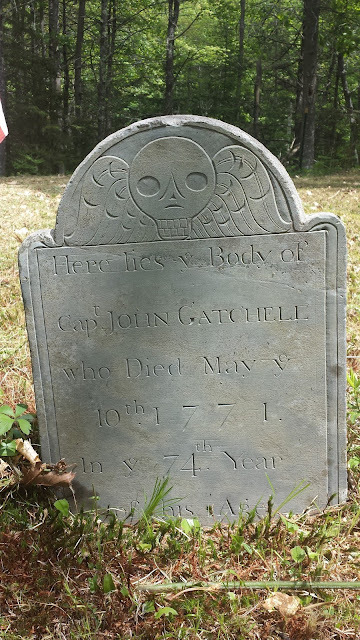 Gatchell Cemetery is one of the oldest in the town. Many of the graves are only marked with field stones, rather than any kind of head stone. Gatchell has been the subject of many discussions, but is sort of an enigma because it falls on land controlled by a naval base which used to operate in town. A few years back the Brunswick Naval Air Station was closed as part of a larger effort and the cemetery, which had been cared for by members of the Navy began to go back into neglect. The problem is even though the base is now closed, the cemetery is nearly impossible to find, and even if you do know where it is, its difficult to get to, since it is still behind closed gates. And so, although articles have been written about it in blogs and regional magazines, it remains one of Brunswick's most famous forgotten cemetery. A number of years ago a Gatchell descendant donated some money to our local genealogical society to help maintain the cemetery, but it wasn't until last year that we were able to get easy access to the site. Since then, we've organized a couple of "clean up" days to get things back up to speed. 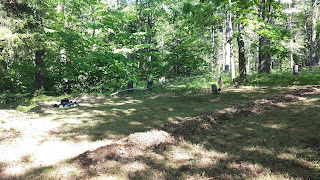 A few weekends ago I was able to go back out to the cemetery and spend some time mowing, clipping some branches of trees hanging over the fence, and clearing up general brush that has fallen over the winter and during some spring storms. After 2 days of working out in the cemetery, I was finally able to see all of the head stones, the fieldstones and even found the base of a headstone that had fallen. Could it belong to a headstone leaning up against a nearby tree? Possibly. I love visiting the cemeteries of my ancestors, but I have to be honest, Gatchell is one of my favorite cemeteries and I have no relatives buried here. 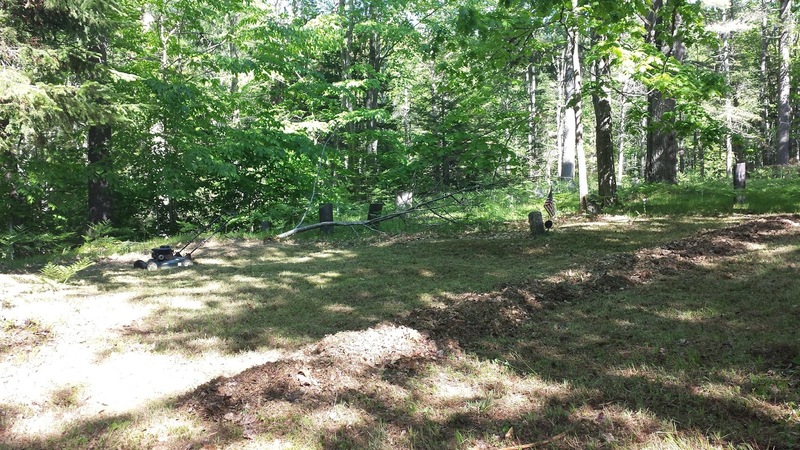 I had a great time going out and cleaning up this cemetery this spring, and I encourage anyone who has thought about doing something similar to spend some time to research cemeteries in need of some loving care in your area. Get permissions to help do some cleanup and tackle it. Sometimes it's as easy as a good mowing and fixing of a fence. Sometimes its much more involved. Whatever the project, know your skills and limitations and look for help when needed. 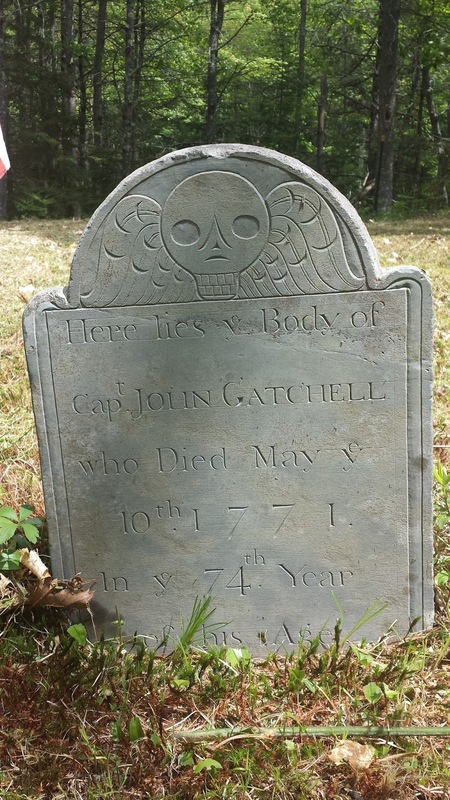 Maine is lucky to have an organization called The Maine Old Cemetery Association (MOCA) which documents old cemeteries like Gatchell and can offer advice when you have questions about how to handle certain situations. Other States may have similar organizations.